Calgary Canada police arrested Reveira at a construction site in the Western Canada city. Police spokesperson Staff Sgt. Todd Zelenski said the police had been tipped off about Reveira and that the suspect was known to have been in Canada since last October. Reveira is awaiting extradition to Barbados and according to the Canadian Calgary Sun, may be in Barbados next week. The Royal Barbados Police Force “Most Wanted” website does not list Reveira, and the Canadian papers say the Barbados police are keeping mum on the arrest. We’re unable to provide more information as to the murders he is wanted for. Can any of our readers assist? Junior Campbell, otherwise known as Poeticjazztice, writes some very readable pieces for AllVoices. 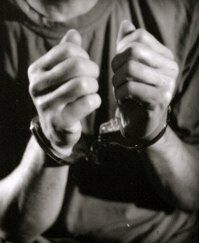 His latest is a series of three posts about male bashing in Barbados and elsewhere. In a strange convergence we have Rihanna appointed as Tourism Ambassador, Rolling Stone Magazine calling her the “Queen of Pain” for her sadomasochistic behaviours, and Junior Campbell wondering what Rihanna’s behaviour tells us about ourselves as Bajans. We’ll start off with the second article in the series, but you’ll have to visit AllVoices to finish it and read the other parts. That’s only fair. I don’t suppose that the folks at the Barbados Tourism Authority read the Rolling Stone article in question before they jumped for a life preserver? Didn’t think so! ‘The Chinese are coming. By their millions. As tourists. And it will change our economy in ways that we cannot even imagine’ according to Tim Hughes a director of Australian based, Value Capital Management. ‘Chinese outbound luxury tourism in growing by more than 25 per cent each year’ and in 2011, 60 million Chinese tourists will travel abroad and spend more than US$50 billion’. source: China Elite Focus website. The World Tourism Organisation predicts that “China will have 100 million outbound travellers and become the world’s largest source of outbound travel in the world in 2020’. In 2010 the US State Department of Commerce declared that ‘the average Chinese tourist spends US$7,000 per stay, more than any other nationality’. I could go on, and on, but if only a small percentage of these predictions and statistics are, or become factual, its a market we cannot afford to ignore. Beijing is 8,775 miles away, Shanghai 9,381 and Shenzhen, China’s fourth largest city in terms of population, 9,939 miles, and these are the shortest Great Circle distances flying over the North Pole. According to the BLP, what you’ll see in the video is the fault of no one but the DLP – but something tells me that these houses looked exactly the same for a decade of BLP rule. 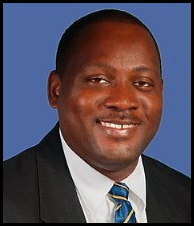 Our friend Ian Bourne has his commentary posted at Bajan Reporter. Was this destruction really necessary? The story of Boarded Hall Green is back in the news with Barbados National Trust President Karl Watson saying he’s had enough of the destruction. 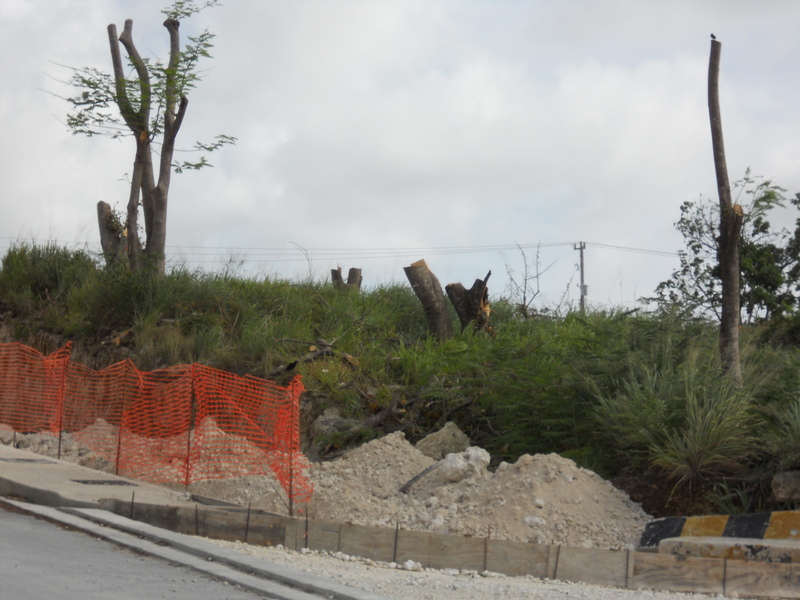 “With ground now being broken at the new multi-million dollar Boarded Hall Green gated community, due for completion in 2013, BNT President Karl Watson said the felling of an estimated 40 trees at the location of the project month ago warrants answers and action. Read the whole story at Barbados Today: National Trust fed up! Can someone please explain why these many trees were cut down near the new roundabout at Boarded Hall house? About 40 trees were cut down. I understand that news condos will be built on the site, but surely they could have saved some trees, integrated them into the plan and worked around them during the building. These beautiful large and old trees are gone forever. How “eco-friendly” does the above photo look? Boarded Hall Green is a new eco-friendly designed gated Condominium Community. It is situated to the immediate north-west of the new roundabout at the intersection of Boarded Hall, Carmichael and Frere Pilgrim. BHG provides modern,architect-designed living for its occupants, and comprises 8 studios, 40 one-bedroom and 14 two-bedroom apartments. There is also a communal pool, washer/ dryer facilities for heavy-duty laundry and an on-site property management office.